Flowers have always had a symbolic meaning and we still connect some of those old ideas with flowers in the modern age. It goes back to very old times in Japan, a tradition called Hanakotoba which is a Japanese word for associating flowers with various meanings and gestures or ideas. In the Victorian age, it was called Floriography. I have seen enough of Pride and Prejudice to know that back in the old days, people couldn’t really speak of how they actually felt. And later in the Victorian age, everything was highly moralistic and straight-laced. The gift of flowers represented a token given to another person and held such symbolism or flower meanings, I wonder how everyone kept it straight! 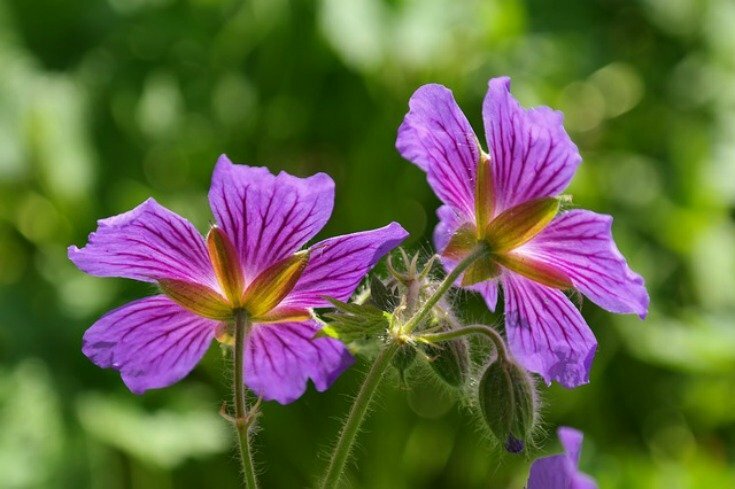 I guess you had to be careful in Victorian England if you gave someone a geranium since it might mean that you found them stupid? Basically, a person gave a flower to represent what they might want to say but just could not speak out loud. In modern times, we can give flowers to represent a memory, a special meaning, or just because of the color or the beauty. 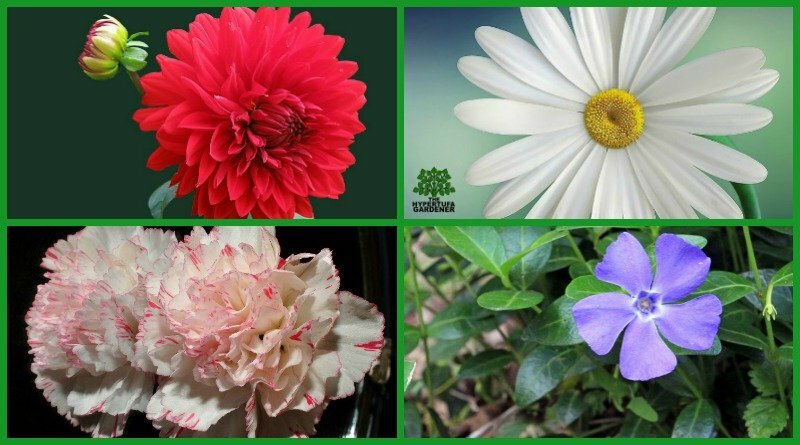 But here are ten flowers with their special meaning. I guess this is a tricky one. Apparently it can mean that you think a person is stupid, or foolish and lacks good sense. Wha….! But I also found references to these flowers meaning determination and gentility . Guess you had to be really careful when you picked a bouquet and put them in the parlor! These flowers are also known by the name beardtongue. This one is supposed to mean gentle courage or risks of the heart. How do they come up with these things? Having a beard and a tongue is courageous? Go figure! The upright petals of this flower are supposed to represent faith, valor, and wisdom. 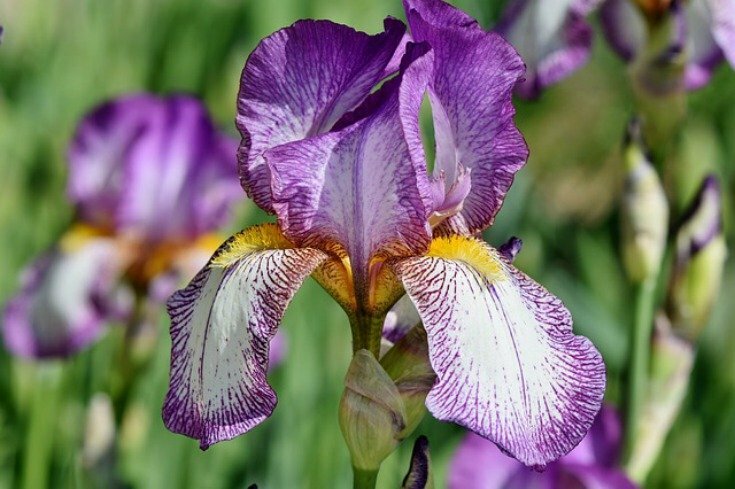 The fleur-de-lis is a French symbol from the Middle Ages which resembles an iris (or lily). I can see that in the iris. 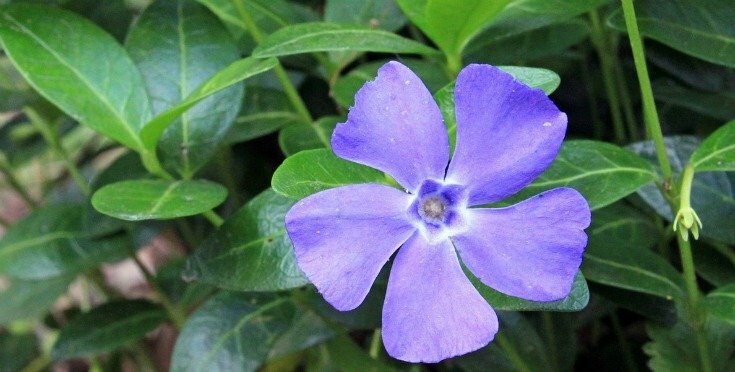 Our little violet symbolizes shyness and modesty, and faithfulness. It is also said to represent daydreaming. I love to daydream so we are kindred spirits. I guess I will keep the violet in my daydreams. 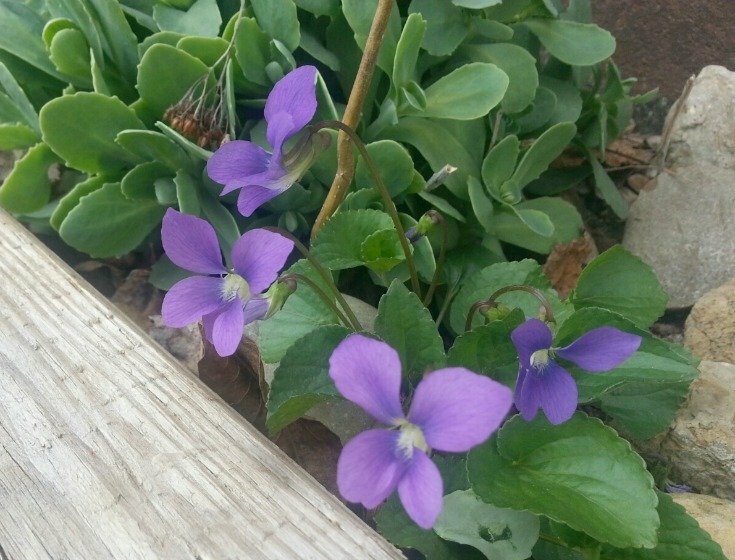 My daydreams of all those violets invading my garden in the spring. They are faithful. This small flower symbolizes love and was associated with Aphrodite, the goddess of love. It can represent the joy of love and even immortality…as in undying love? One can suppose. This flower is supposed to symbolize dignity and elegance. 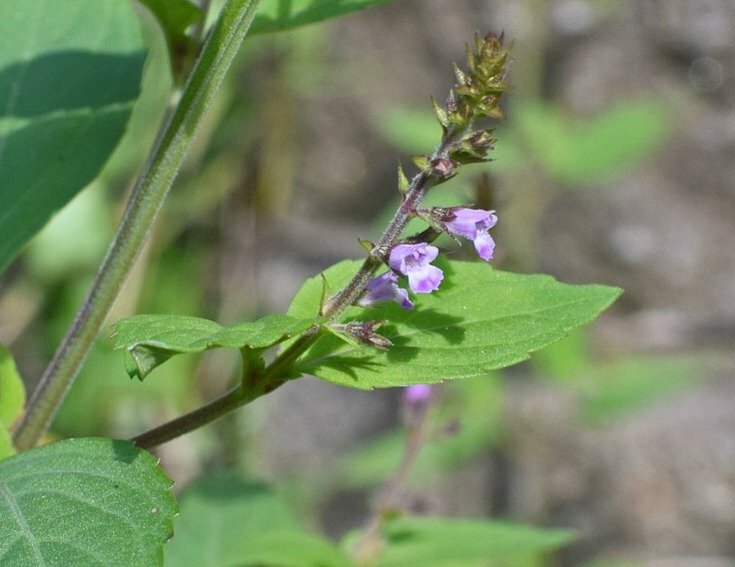 I love these flowers but I just can’t see it. Maybe because it is so “stiff and proper” at least most of them seem to be. I have grown the Mystic Illusion dahlia and I love it. It is rather elegant, as a matter of fact. 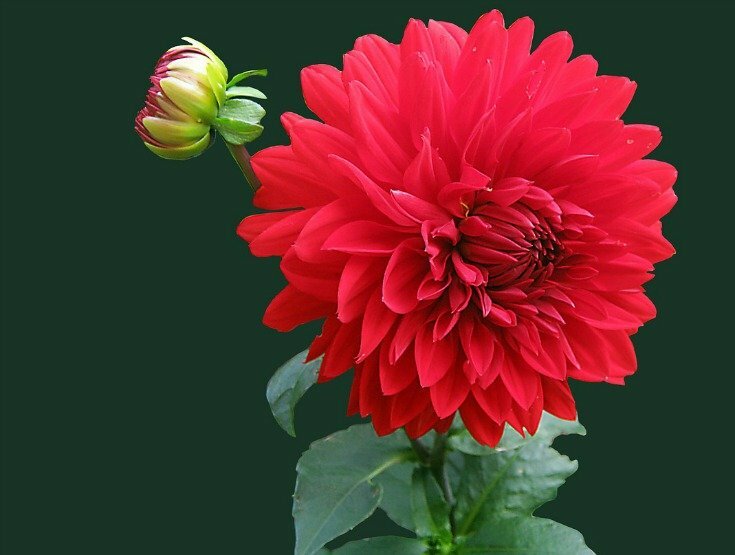 But be sure not to give a Red dahlia. It symbolizes betrayal and dishonesty. Think of that poor Victorian gentleman presenting his lady with a bouquet of Red Dahlias. Bet he got a smack! It seems these are great all around and represent love, even pure love. Those with a tint of red go from simple admiration and the deeper the color gets, the stronger the love is. Hmmm. Dark red represent deep love. 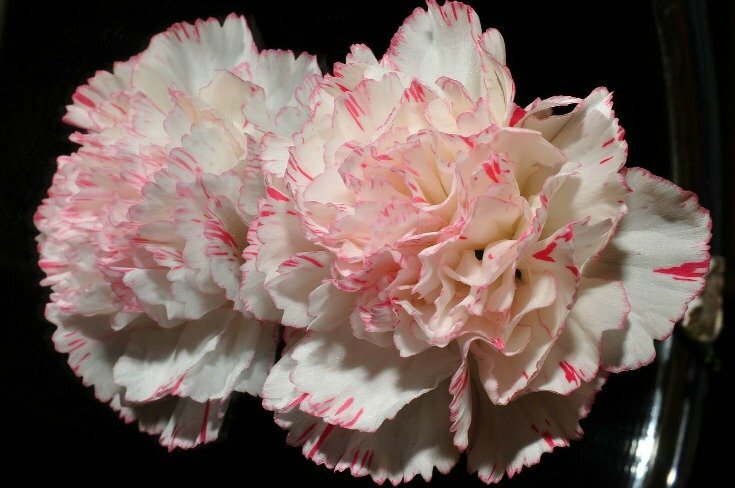 The pink carnation best symbolizes a Mother’s undying love . 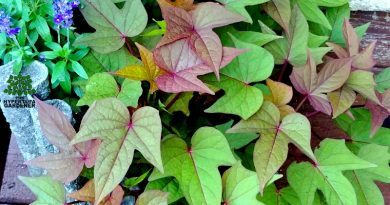 These pink ones first appeared on earth representing the Virgin Mary tears. 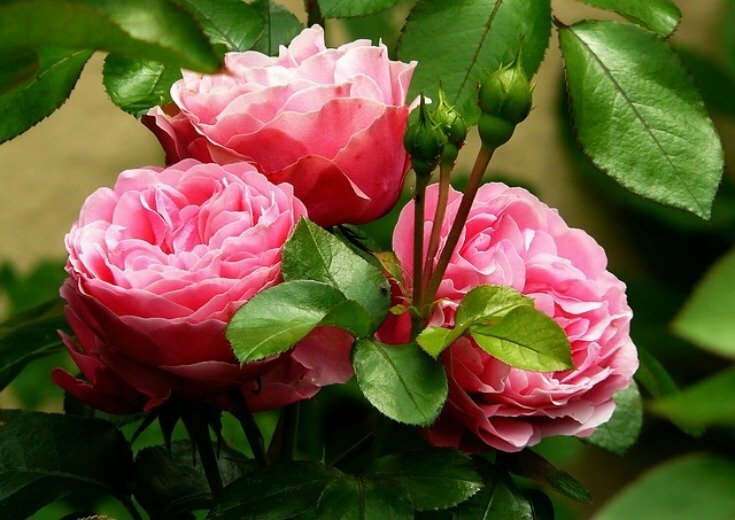 Roses seem like the most difficult to choose to give to someone. There are so many variations of color and number that you could really end up in trouble if your recipient is deeply into those meanings. Your red rose might mean love and romance to them, but those yellow ones are just “friendship.” Talk about mixed signals. Copy this! You better be careful of the number of roses. One rose means love at first sight! Ten roses “You’re perfect.” Careful there! These flowers are the symbol of strength since the word is derived from the word gladius “sword” and the gladiators fought with them. Sure, I can see the sword in a gladiola. 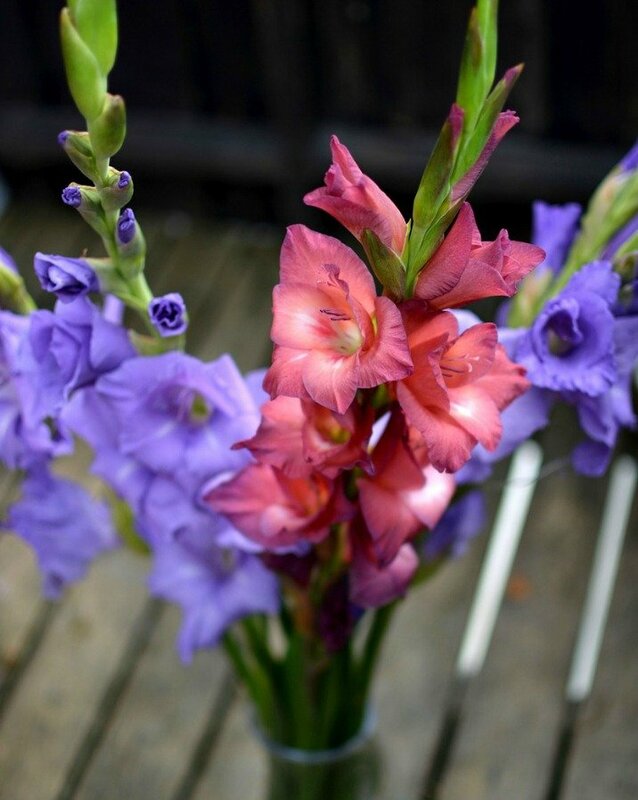 Gladiolas also mean remembrance, strength and honor. A great flower, right? In the end, we all have our own thoughts and associations with different flowers. 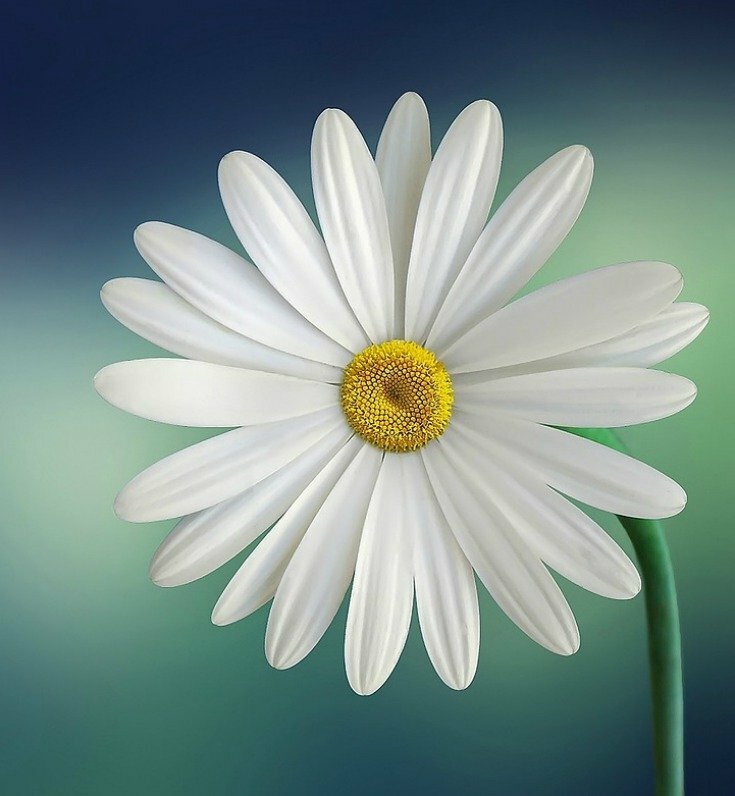 Don’t you look for a bright bunch of daisies when you are happy for someone or want to congratulate them? We all just intuitively choose something from our own life experience when we are choosing a flower to give as a gift or a remembrance. And do you really think people these days attach any thoughts to flower meanings? I don’t think they do. And soon, won’t we all be looking for some red roses on Valentine’s Day as a symbol of love and passion? Flowers speak to more than our minds and our emotions. Flowers speak to our souls. 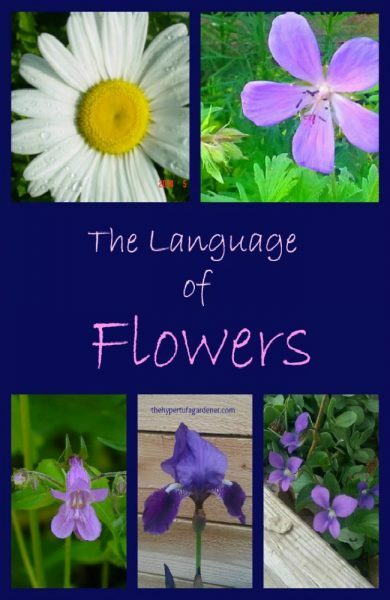 What flower do you love and what does it mean to you? And why? ← Mealybugs – Emergency! Invading Cotton Balls! 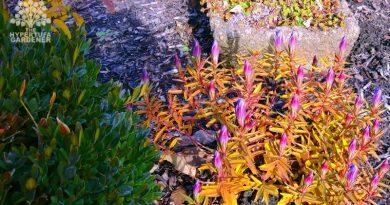 Transplanting Perennials -Going Against The Rules! It Worked! 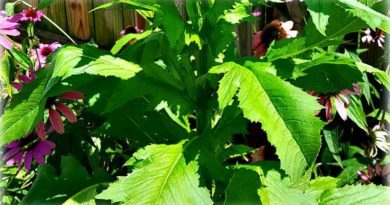 What Is That Huge Mystery Weed?